There is always room for ice cream! 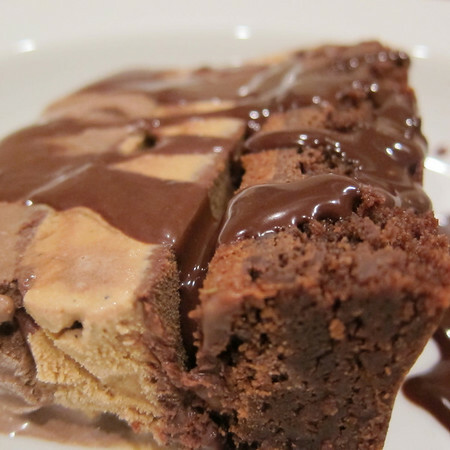 Need a great dinner party dessert? Something elegant and impressive but criminally easy to put together? Something that might make you feel like you are dialing-it-in while outward appearances argue ooh-la-la? I’ve got what you need. It’s a little something I call the ice cream torte. Oh sure, it exists under a variety of names and circumstances. In fact, the possibilities are nearly endless. 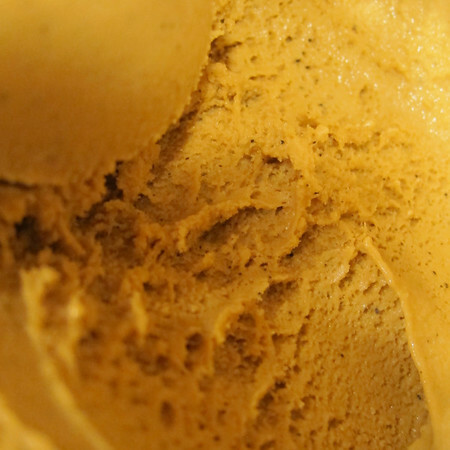 Just mix and match your favorite ice cream flavors and toppings. For instance, I took some of this. 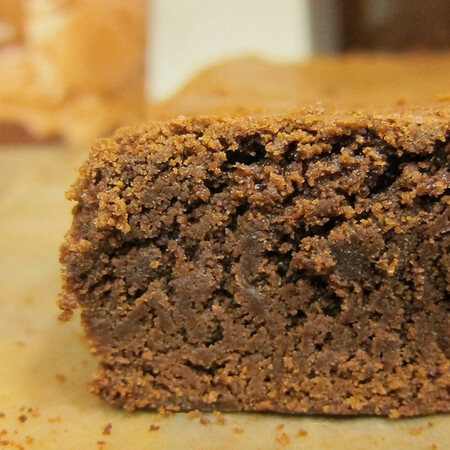 And topped it with this (well, really, the brownie formed the base once the whole treat was dished-out). 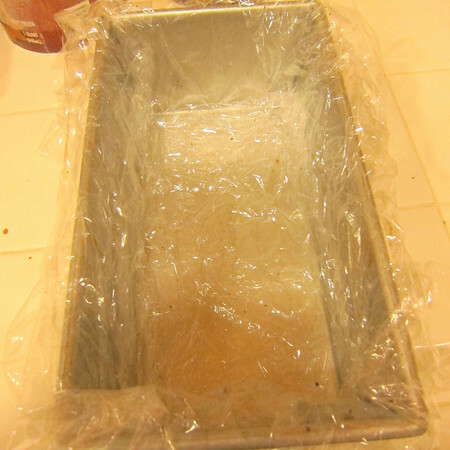 Even the necessary tools are simple: a vessel (I like to use a loaf pan), plastic wrap and something to spread it all with. 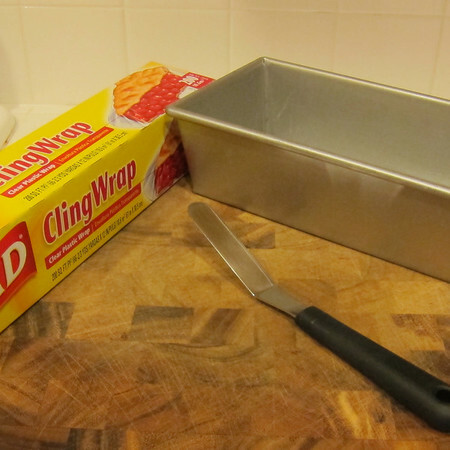 Line your container with cling wrap so that you can easily “un-mold” your creation. 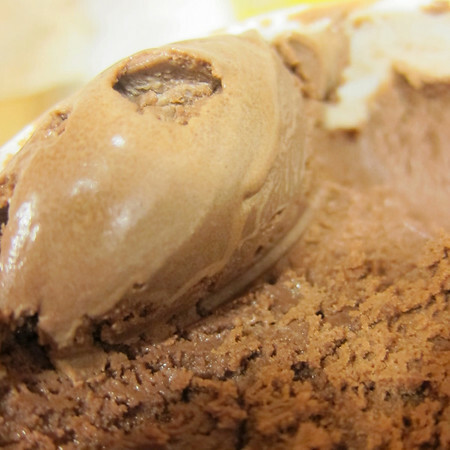 Allow your first layer of ice cream to melt to the point of malleability and evenly spread to desired thickness. 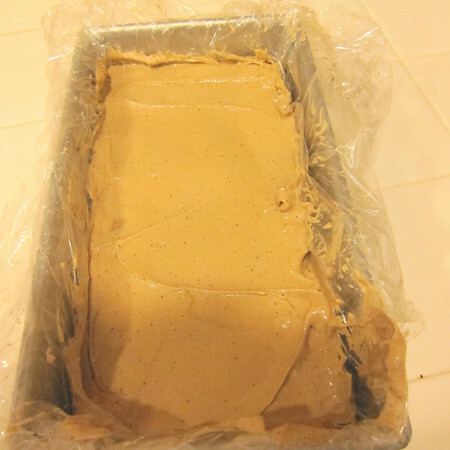 Then, into the freezer until solid (30 minutes or so). 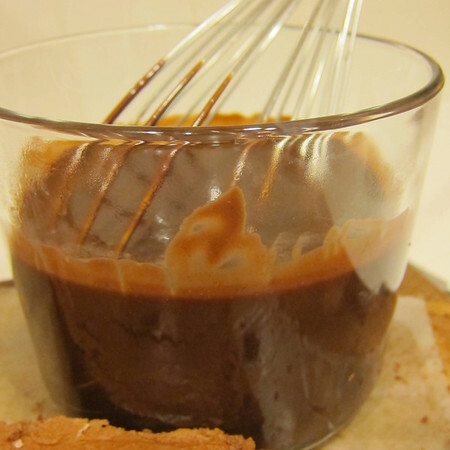 Follow-up with desired layers until you reach the top of the pan. 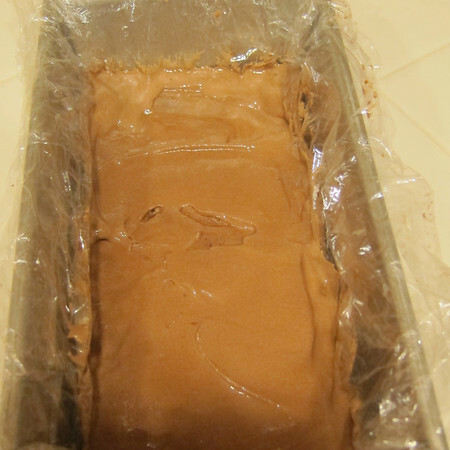 Then, cover with cling-wrap and let it chill-out until dessert time. This could be hours or days. Nice huh? About 10 minutes before serving, pop the whole thing out of the mold, slice and sit back and listen to the ooohs and ahhhs. 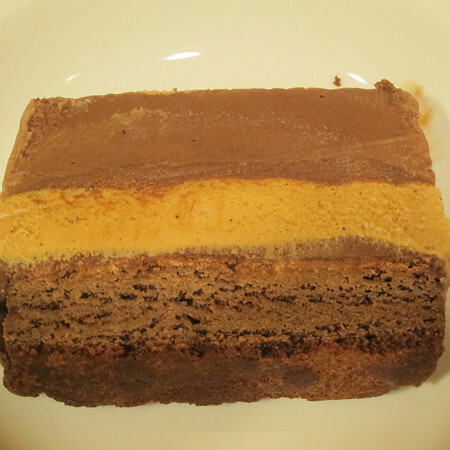 For those of you playing along at home, here are the layers (bottom to top) from an ice cream torte I made for a little dinner last weekend: brownie, ganache, coffee ice cream, ganache, chocolate ice cream (you can’t really see the ganache layers because they’ve blended with the brownie and chocolate ice cream. But…they are there). I know the presentation here is pretty sloppy, but I like to reserve some of the ganache, heat it gently in a water bath and serve against the cold dessert. There really isn’t a recipe for this one, folks. The sky is the limit when it comes to what goes into your torte. 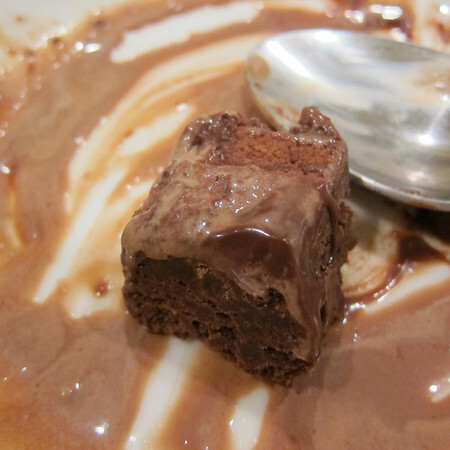 I’ve made my own chocolate sauce and brownies here but who says you can’t go store-bought? My only word of advice is to use ingredients that have about the same consistency when frozen. If you want some crunch, my suggestion is to break-up whatever it is (candy, nuts) into smaller bits so that the overall texture similar.